Don't worry, I won't spoil you. This book was one of my most anticipated for this year second only to Winter the final instalment of the Lunar Chronicles. 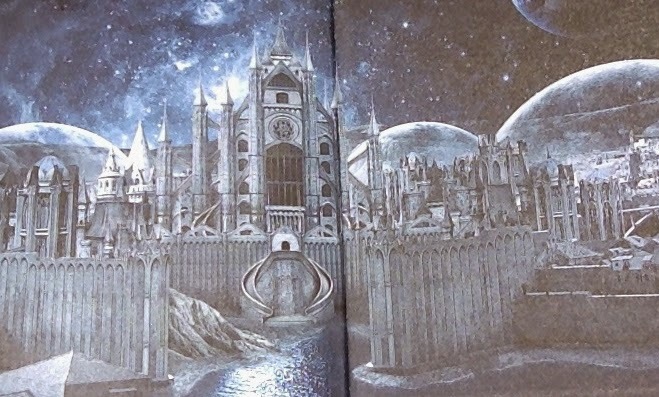 The first thing that I noticed that wasn't the beautiful cover or the gorgeous art inside the cover was the fact that it is a very short book. It is only 220 pages long. This book makes the wait for Winter a little easier. There is an excerpt from Winter in the back which I stopped myself from reading knowing that it would only make the wait harder.I still want Winter. Give it to me. This book is a prequel to the Lunar Chronicles series. It follows the main 'villain' Levana. I was expecting to find Levana to be a more relatable person but straight off we know that this is a different sort of character. 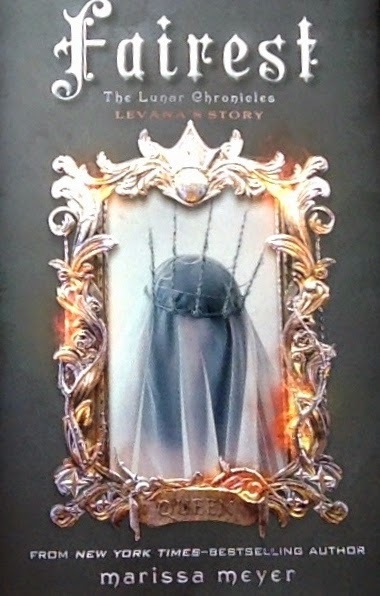 I loved getting to see more of Levana in this book. I think that while I don't think her reasons justify any of her actions - not completely- at least we know that there were reasons. I don't think that this added much to the plot of the overall series. That is not to say that I didn't enjoy it, only that I would have enjoyed it equally as much had it been released after Winter. I did love to see more of Luna, and getting to see some more characters and the history of others. It definitely gave more gravity to some of the characters. Overall I would rate this book as 4.5 stars. Not a full moon but I am so glad that I had it. Now to begin the long wait until Winter.